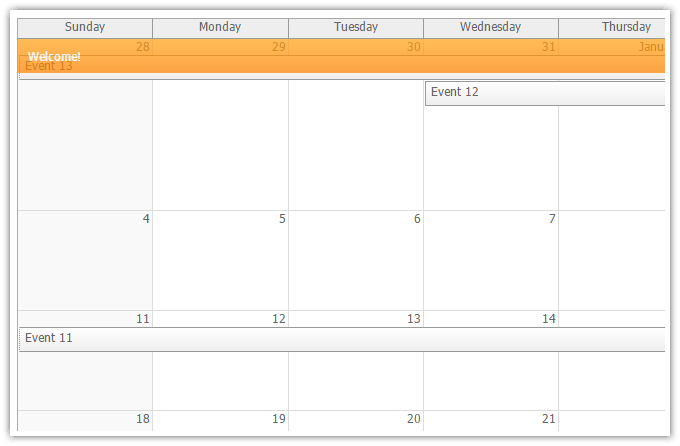 Java Event Calendar is an Outlook-like day/week view. 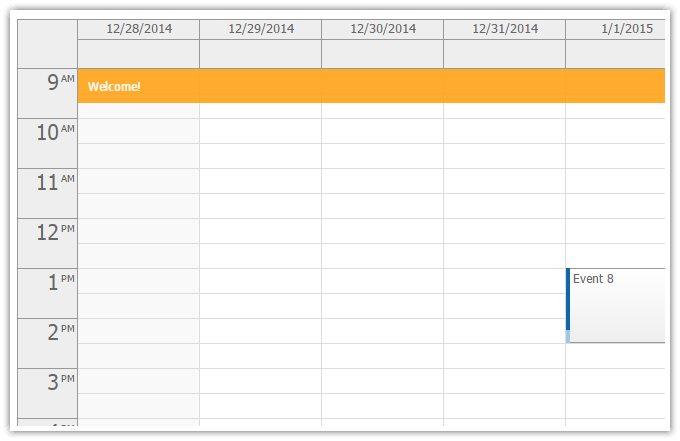 Columns are customizable (any number of days/resources). Supports drag&drop AJAX operations (moving, resizing), context menu, integrated message bar. Java Monthly Calendar is an Outlook-like month view. 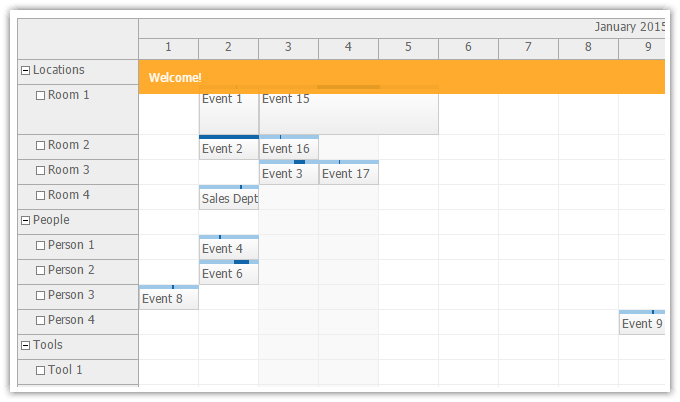 Events can span multiple days or can be stacked inside day cells. Supports drag&drop AJAX operations (moving, resizing), context menu. Java Scheduler is a timeline view of multiple resources. The cell size is adjustable (1 minute - 1 week). Supports drag&drop AJAX operations (moving, resizing), hierarchy of resources (treeview), dynamic event loading (while scrolling) and other advanced features. Java Gantt Chart displays a timeline for a hierarchy of tasks and milestones. It lets you display the project structure, task dependencies and progress in your project management applications.